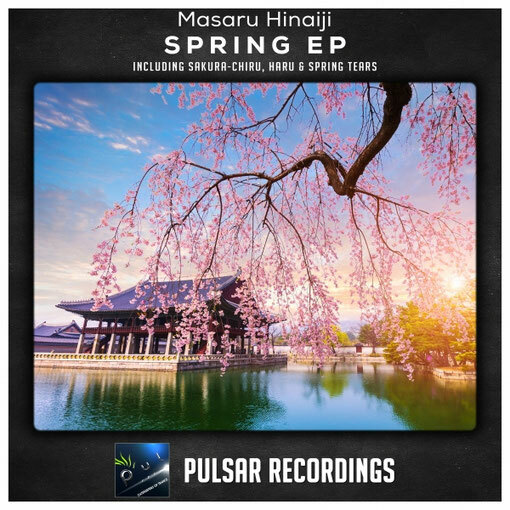 A flowering cherry tree announces the coming of Spring, and so does our Japanese producer Masaru Hinaiji with his newest EP release on Pulsar Recordings. The first track of the Spring EP is Sakura-Chiru, meaning cherry blossom which features vocals from Japanese vocalist Maromushiko. It opens up with a beautiful flute melody, sparking curiosity deep within us; to hear with what he has come up with this time. With the introduction of eastern influenced themes, fast beats and gliding melodies we hope that you will thoroughly enjoy this piece as much as we did. Second up is Haru (Spring Comes), and starts with the vocals of another Japanese vocalist by the name Orie Yoko. With this one you will be hearing big basslines and epic synths. By the time you reach the breakdown a coat of spring will embrace your body with its full on magic of chirping birds and fairy tale like melodies. Last but not least in the Spring EP is a track called Spring Tears, which comes as an instrumental to finish the EP with style. You will be greeted with the moving bell sounds and magical melodies, announcing really interesting things to come. By the time the track fully develops it will introduce a myriad of new sounds. From new piano melodies to stringed guitars and beautifully rich pads. This concludes the second EP release of Masaru Hinaiji's in 2017 who has managed to bring peace to our souls with such outstanding compositions.